New York District Court Judge Gary Sharpe on Tuesday recused himself from presiding over a patent case involving the Siri virtual assistant, saying he had an unspecified interest in Apple. First reported by CNET, the judge stepped down from a patent suit first lodged on Friday with the U.S. District Court for the Northern District of New York, which has limited liability company Dynamic Advances asserting claims against Apple and its Siri voice recognizing assistant. According to court records, Sharpe pointed to a U.S. Code that requires a judge to recuse themselves if their impartiality to a case "might be reasonably questioned," and subsequently handed the case over to current presiding Judge David Hurd. At issue in the newest of Apple's mountain of ongoing worldwide litigation is U.S. Patent No. 7,177,798 for a "Natural language interface using constrained intermediate dictionary of results," which is allegedly infringed upon by Siri. While the case is being brought against Apple by Dynamic Advances, which claims it is the exclusive licensee of the patent-in-suit, the original IP was invented by a professor and doctoral candidate at Rensselaer Polytechnic Institute. Dynamic Advances is the exclusive licensee to the 798 Patent. As such, Rensselaer has transferred all substantial rights to the 798 Patent to Dynamic Advances, including the exclusive right to sue for infringement and recover damages for all past, present, and future infringement. Dynamic Advnaces does not mention what exactly it does with its licensed patents, however it appears the company is a non-practicing entity as no further information is given on its operations or history. 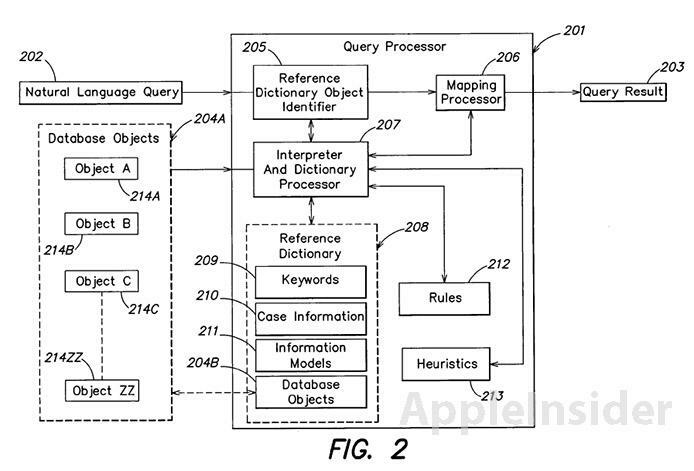 The claim goes on to say that the '789 patent covers "methods for processing a natural language input," which describes one of Siri's main features: conversational interaction. According to the complaint, the '789 patent is pervasive, and has allegedly been cited in "more than 93.5% of issued United States patents," including applications filed by HP, Microsoft, IBM and Google. Apple also cited the published IP during the submittal of "no fewer than three patent applications," including a text-to-speech invention and a property directly associated with Siri technology. Dynamic Advances is seeking damages, reimbursement of court fees and royalties from Apple for the alleged patent infringement. Apple is no stranger to complaints involving its Siri technology as the company was hit with two class-action lawsuits for falsely advertising the service earlier this year (1, 2). In July, it was reported that a Chinese company was also bringing claims against Siri over infringement of a similar service called Xiaoi Bot.